Below you fill find all funeral homes and cemeteries in or near Emmetsburg. Emmetsburg is also known as: Palo Alto County / Emmetsburg city. Their current mayor is Mayor Lloyd Satterwhite. Zip codes in the city: 50536. Palo Alto County funeral flowers can be purchased from one of the local funeral shops we partner with. Some of the notable people born here have been: Bruce Nelson (american football player). Emmetsburg is a city in Palo Alto County, Iowa, United States. The population was 3,904 at the 2010 census. It is the county seat of Palo Alto County. Emmetsburg is located around the southern bay of Five Island Lake.In 2007 and 2009, Emmetsburg was named one of the top 100 places to live in the United States by Relocate-America.com's "America's Top 100 Places to Live. "For more information, please visit the Emmetsburg Welcome Center at 1121 Broadway or call 712-852-2283. It was reported on April 24th, 2018 that Frank J Cantieri died in Emmetsburg, Iowa. Cantieri was 91 years old and was born in Chicago, IL. Send flowers to express your sorrow and honor Frank J's life. It was revealed by Des Moines Register on January 3rd, 2018 that Lewis C Heghin perished in Emmetsburg, Iowa. Heghin was 71 years old. Send flowers to express your sympathy and honor Lewis C's life. It was revealed on December 29th, 2017 that William "Bill" Carpenter died in Washington. Carpenter was 87 years old and was born in Emmetsburg, IA. Send flowers to share your condolences and honor William "Bill"'s life. It was written by Topeka Capital-Journal on August 19th, 2017 that Kenneth Earl Kelso died in Emporia, Kansas. Kelso was 70 years old and was born in Emmetsburg, IA. Send flowers to share your condolences and honor Kenneth Earl's life. It was noted by Estherville Daily News on July 24th, 2017 that Dean Moore passed away in Emmetsburg, Iowa. Moore was 79 years old. Send flowers to share your condolences and honor Dean's life. It was revealed by Estherville Daily News on July 17th, 2017 that Jake A Hoffman passed away in Emmetsburg, Iowa. Hoffman was 27 years old. Send flowers to express your sympathy and honor Jake A's life. It was reported by Estherville Daily News on July 13th, 2017 that Elmer Simacek passed on in Emmetsburg, Iowa. Simacek was 95 years old. Send flowers to express your sympathy and honor Elmer's life. It was written by Estherville Daily News on February 27th, 2017 that John A Tindall passed on in Chandler, Arizona. Tindall was 80 years old and was born in Emmetsburg, IA. Send flowers to express your sorrow and honor John A's life. It was written by Milwaukee Journal Sentinel on October 12th, 2016 that Mary Evelyn Brannan (Aylward) passed away in Wisconsin. Ms. Brannan was 90 years old and was born in Emmetsburg, IA. Send flowers to share your condolences and honor Mary Evelyn's life. It was revealed on July 11th, 2016 that Frank Kenneth Sr Duhn passed on in Burns, Oregon. Duhn was 95 years old and was born in Emmetsburg, IA. Send flowers to share your condolences and honor Frank Kenneth Sr's life. Emmetsburg is home to a campus of Iowa Lakes Community College. 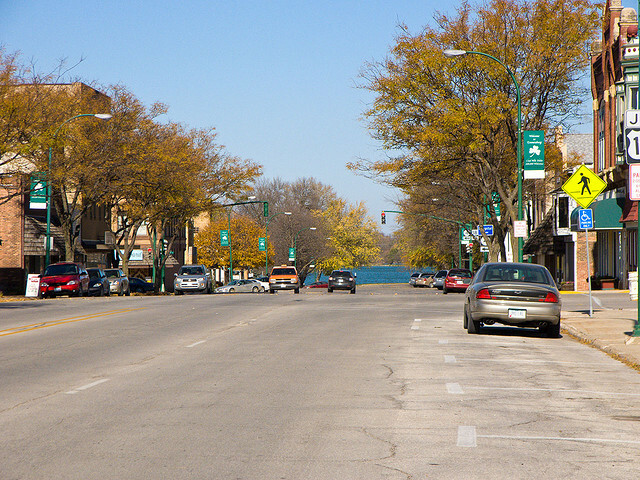 Emmetsburg was named one of the top 100 places to live in the United States by Relocate-America.com's "America's Top 100 Places to Live for 2007." Emmetsburg is located around the southern bay of Five Island Lake. 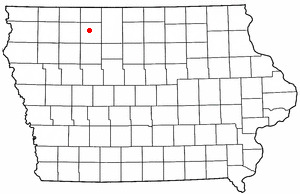 It is the county seat of Palo Alto County, Iowa Alto County . The community is served by KEMB-LP FM, a low power community radio station. The population was 3,958 at the 2000 census. The official website for the city of Emmetsburg is http://emmetsburg.com/. Keith Richard McDonald was born in Emmetsburg, IA on March 4, 1949, to Keith James and Phyllis ... 2010, at Czaplewski Family Funeral Home, 501 2nd Street NW in Hayfield. Listing all funeral homes in Emmetsburg, Iowa so you can easily send flowers to any location (same day delivery) or find any funeral service. We work with local florists and flower shops to offer same day delivery. You will find budget sympathy flowers in Emmetsburg here. Our funeral flowers are cheap in price but not in value.